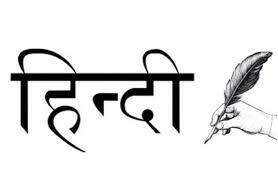 The Department of Hindi was established in the academic year 1984-85 in B.A, B.Com Courses as second language. The department is conducting assignments and unit tests to assess the progress of the students. The department is supplying study materials for the better understanding of the subject. The department encourages as well as gives guidance to the students to build up their career. To see that all the students, especially from the weaker sections of the society and with rural background are empowered with hard and soft skills and with secular and human values that contribute for bettering the prospect of students career. The department of Hindi is following the common core syllabus in vogue in the state of Andhra Pradesh. This department strictly follows the curriculum designed by the affiliating university Viz. Acharya Nagarjuna University. The primary teaching methods of the faculty member is traditional system of using the blackboard. Whenever necessary the traditional approach is supplemented by the use of ICT, virtual and video lessons. The faculty prepared question banks for each topic and same will be given to the students. Bridge classes are conducted for first year students to make them comfortable with the curriculum. Students are encouraged to participate in classroom seminars. After completion of 2 lessons, we conduct a test for assessment of student’s academic progress. The departmental library consists of nearly 30 books. Teaching lessons, using aids, showing charts, photographs of authors etc., preparing the question banks in each topic for effective learning. Donating fruits and biscuits to poor children. Donating blankets to Riksha .. etc., social service purspect inculcatin to students compulsion and responsibility towards society.